It’s that time again. The summer is quickly coming to an end, and back-to-school is approaching. Just thinking about the transition back to school can induce anxiety not only in kids, but also in parents and teachers. I personally had a mental breakdown last week just trying to figure out how I’m going to get my kids to and from two different schools, schedule and drive to a handful of extracurricular activities, and make dinner each night, all while managing my own work schedule. I spent two hours on calendaring and still haven’t figured out how to make it all happen. The back-to-school season is quickly approaching, and there’s so much to do! There’s plenty of preparation required to make the transition seamless for kids but they aren’t the only ones who need a little help. Parents need to make big changes, too! Carpools, lunches, work, extracurriculars — the list is endless. So, let’s take a minute to talk about a few things parents can do to get themselves ready for school. Anger is neither good nor bad; it’s just a normal feeling. How we express our anger is what is most critical. It is an important emotion and can actually be helpful in creating motivation. It can also be dangerous when expressed in an unhealthy way and can lead to bad decisions. You’ve probably heard ideas like telling your child to “count to ten” or “go scream in a pillow”. These are neither practical nor helpful strategies, so here are a few ideas that will help you and your child both manage and express anger is a healthy productive way. Summer is in full swing now and everyone is embracing the sunshine and the warm weather. With all the fun summer activities, parents tend to get a little more relaxed in their parenting. Being a bit more flexible and going with the flow can be wonderful and liberating, unless you are undoing the habits you worked so hard to maintain the rest of the year. Keeping your parenting consistent with your values during the summer months can definitely be more challenging when everyone is focused on having a fun time. Below are two more ways to be mindful this summer to help keep your family on track and ensure everyone is staying healthy and enjoying themselves. As we head into summer, it can be helpful to set clear expectations for our kids, in order to avoid challenges and ensure that everyone in the family has fun. The summer months tend to create a relaxed approach to daily life and can often lead to bad habits that then require a lot of time and energy to reverse in the fall. Two ways to maintain consistency and keep things on track are making sure your child gets enough sleep and enforcing clear limits on the use of screens and devices. Casey invites fellow Positive Discipline Coach, Melissa Benaroya, to discuss surviving Summer Break. In this episode they offer practical tools and solutions to set you and your family up for a successful summer. Two to three months is a long time to keep your kids occupied and stimulated. Get an insight into the importance of boredom and why you don’t have to plan every single second of your children’s vacation. Tune in and learn how routine and summer coexist to help you have fun too! As Father’s Day approaches, we encourage you to embrace every opportunity to celebrate and acknowledge the father figures in your life. Fathers are significant influencers in the lives of their children; they are no longer valued just for bringing home the figurative bacon. The days of detached fathering are becoming a thing of the past. Dads are more involved than ever in all aspects of childrearing. Research has found that men who are fathers are actually happier than their childless peers. Not only do dads benefit from getting involved, but there are huge benefits for children, too! The latest research points to several areas where dads have an especially profound effect on their daughters’ health and wellbeing. Ask The Parent Coach: Playing Favorites! From time to time I will answer readers questions as they come in. I thought I would share this specific one because this question comes up a lot. Sometimes my 3-year-old can be sort of mean to her dad- like when he goes to get her in the morning she will scream that she only wants mommy or sometimes she pushes him away when he comes over to say to her when he gets home from work. I know she adores my husband and they have so much fun playing together, but I'm not sure why she acts this way towards him sometimes. Any thoughts? Making time for exercise can make all the difference in how you show up as a parent, partner and professional. 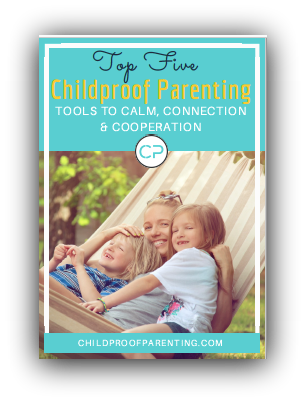 It is virtually impossible to be a calm, empathetic and loving parent when you’re depleted. Self-care can also be a win-win; not only do we feel better, we are modeling behavior for our children and creating opportunities for connection. A child’s anxiety is stressful to the child and can also be stressful for the child’s family. Anxiety can actually be debilitating for kids. Children may spend endless amounts of time and energy fixated on things such as grades, family issues, peer relationships, and performance in sports, as well as disasters they think might happen or dangers that do not actually exist. Understanding the different types of anxiety and the options for treatment for children and adolescents is really important. Over the course of the last 5 to 10 years, the practice of mindfulness has received significant attention and gained recognition as an effective means of treating and managing childhood anxiety. Managing screens, devices and apps... oh my! One of the biggest challenges for parents these days is managing their children’s use of electronic devices. Devices are the source of many power struggles for modern families. As a parent or caregiver, it’s your responsibility to set limits. Every family’s values and schedules are different, so limits on devices look different from one family to another. I have received numerous emails and messages over the years from parents concerned about their child’s anxious behavior. That is why I interviewed Karen Young of Hey Sigmund at the end of April. Many of you missed the live interview so I wanted to recap for you some of the highlights. April is Child Abuse Prevention Month, which always gets parents thinking about how to keep their children safe. All parents face the same concerns when it comes to the safety of their children: who to trust and who not to trust, what they can do to ensure their children’s safety when they are not present, what to teach their children about safety, and how to teach it. Toddlers and preschoolers are comfortable and confident shouting “NO!” when they don’t want to do something their parents have asked them to do. But are your children comfortable saying no to other people or in questionable situations? Parenting young children is hard. It is even harder if you and your partner are not aligned in your child-rearing strategies. Same Page Parenting can go a long way to removing the obstacles that create stress, conflict, and anxiety. Many parents feel powerless when it comes to their kids because they cannot get their kids to listen and do the things they want. What they do not realize is that there is so much unspoken power that they hold that they are forgetting to access. It is the power of nurturing a human being, and the kind of relationship we have with them, that will help define who they are and what they do for a lifetime.